I am in love with butterflies at the moment! In DaliART's Colour of the Month challenge you are supposed create something in light purple. Easy peasy! I love light purple! I decided to make a few more wedding cards for my friend to chose from, so I made another wedding card. 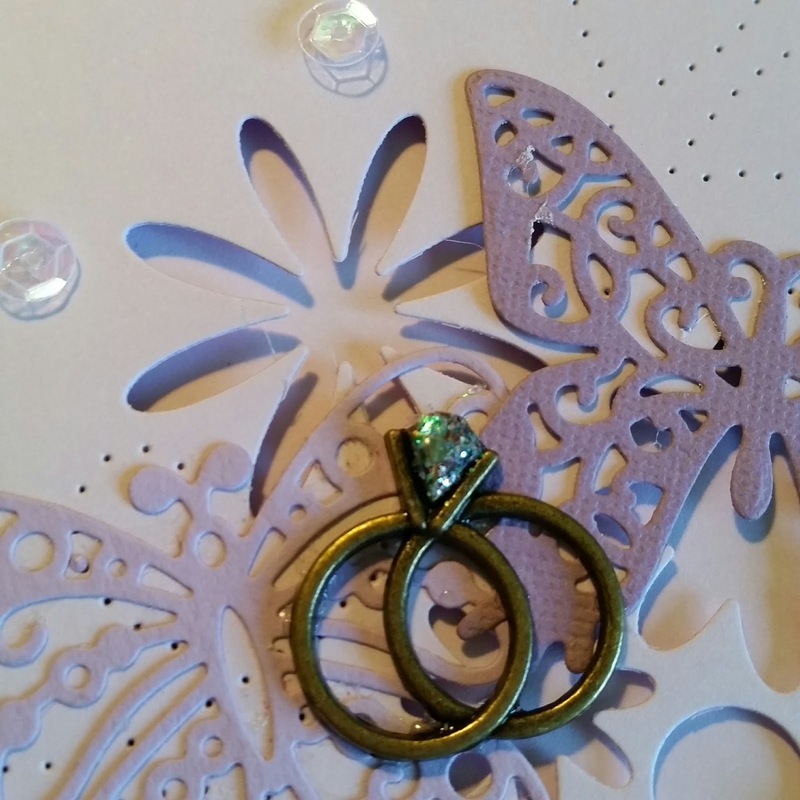 Wedding cards that are in just one colour are very striking, I think. 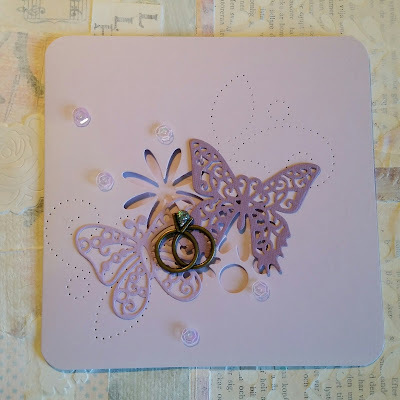 I am in love with all theses stitched dies that are so popular right now, but I haven't afforded one yet. I was thrilled when I found some stiched dies in an old set I've got by Quickutz! In this card I have die-cutted some flowers in the actual card, used a stiched die to make a pattern and on top of it all I glued die-cutted butterflies. The charm looked very plain so I added some extra glitter to it.